There should be no question marks when it comes to your period. 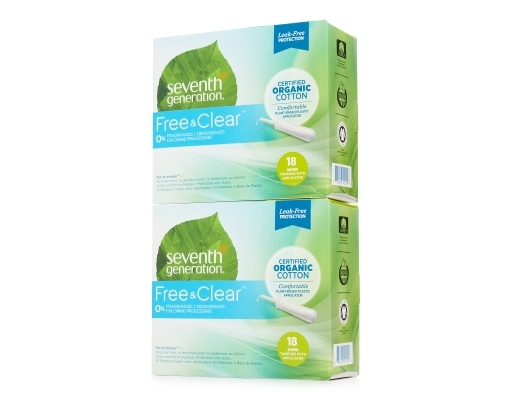 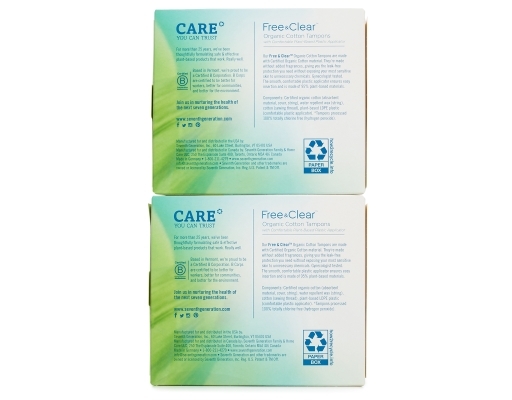 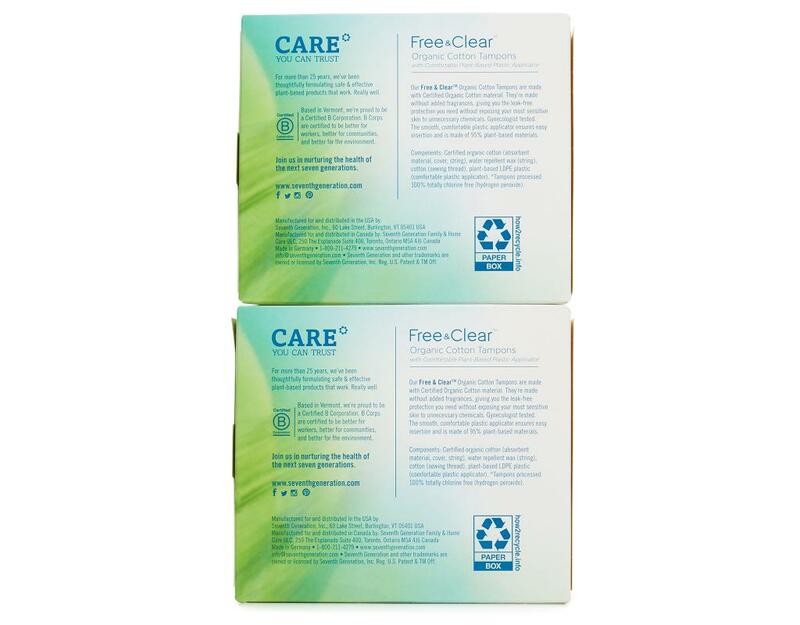 Seventh Generation Free & Clear Tampons give you the leak-free protection you need without added fragrances, so your most sensitive skin isn’t exposed to unnecessary chemicals. 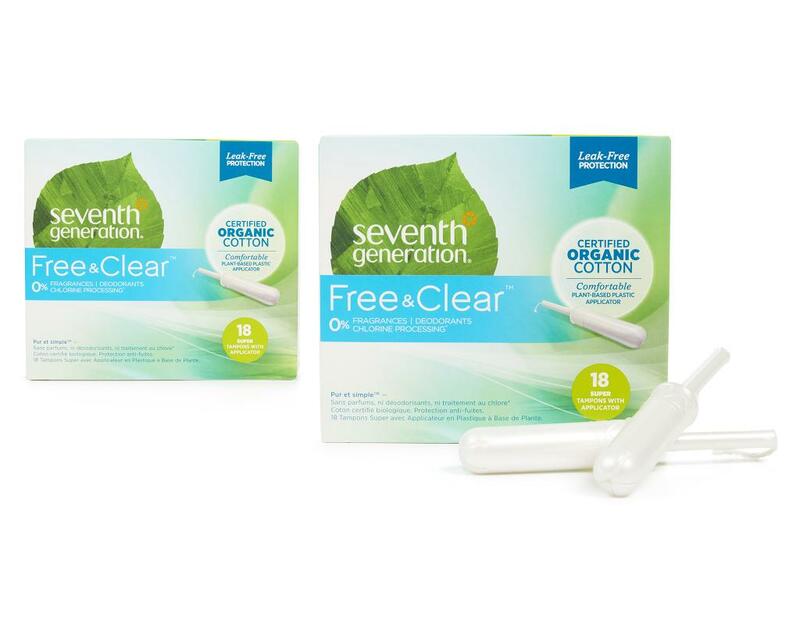 Seventh Generation tampons are made with soft and absorbent Certified Organic Cotton and are processed 100% totally chlorine free (hydrogen peroxide). 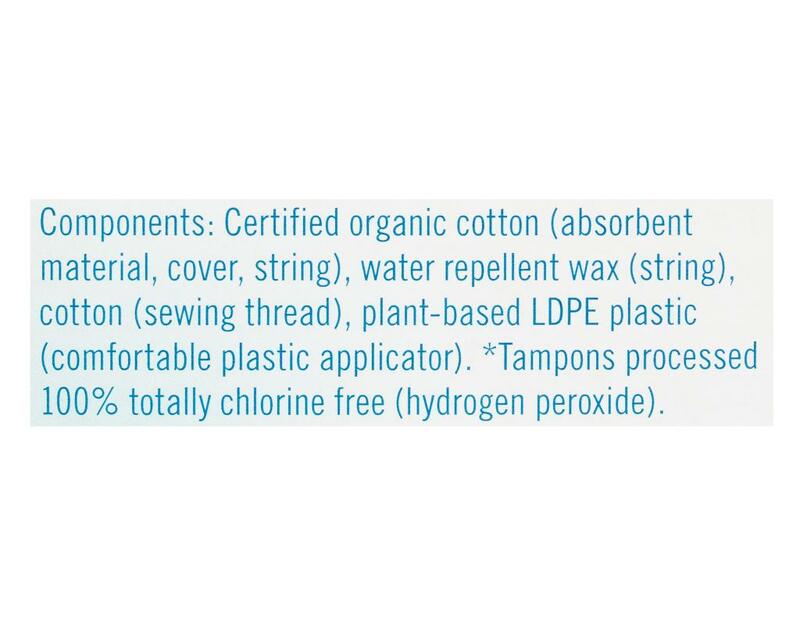 The NEW smooth BPA-free plastic applicator is made from 95% plant-based material, allowing for comfortable and easy insertion while being mindful of our impact on the environment. 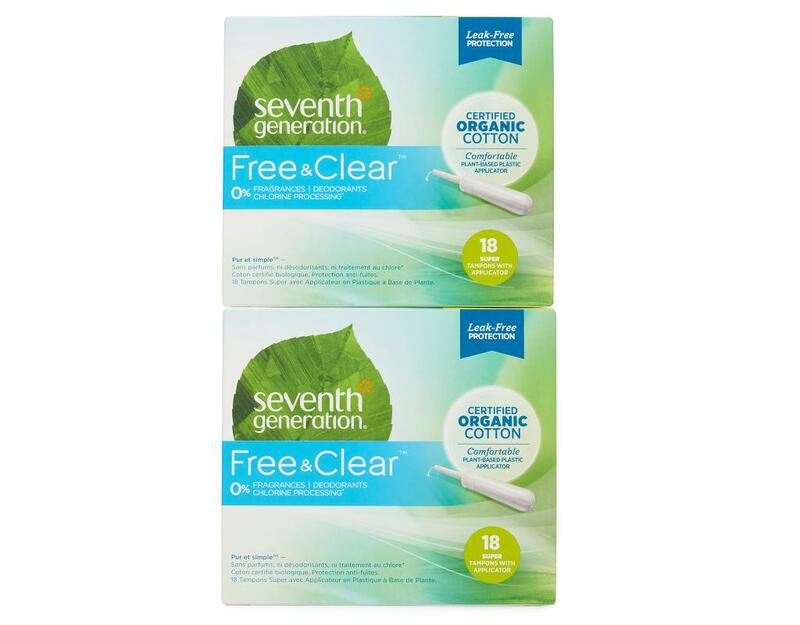 These fragrance-free organic cotton tampons are gynecologist tested, hypoallergenic and made for sensitive skin. 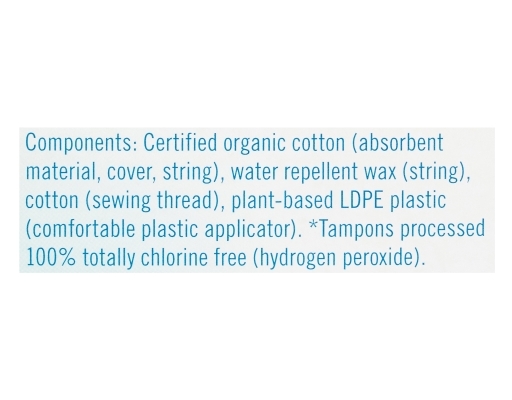 And they’re free of synthetic rayon, deodorants, and dyes, too. On average a woman will use 16,000 tampons or pads over the course of a lifetime. 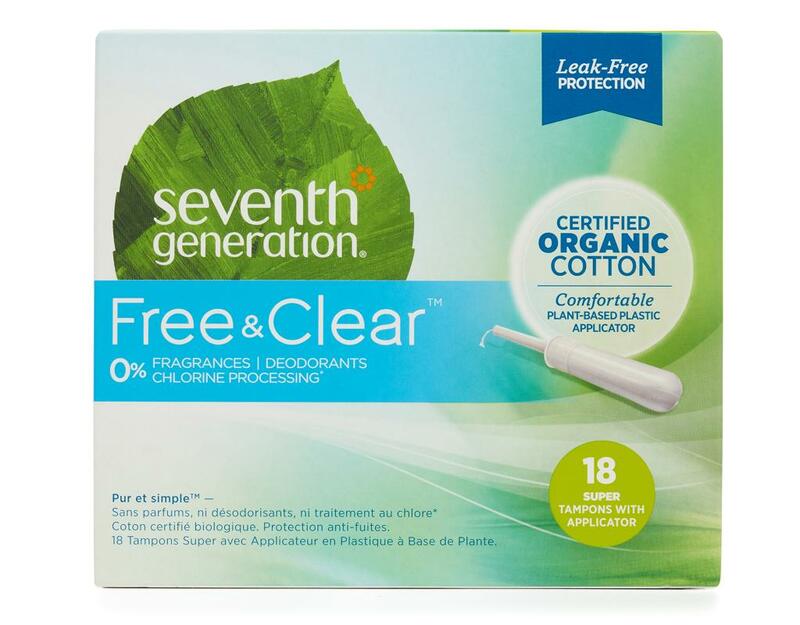 You read that right – that’s 16,000 intimate encounters with your most sensitive area, so knowing what’s inside those products is a big deal. 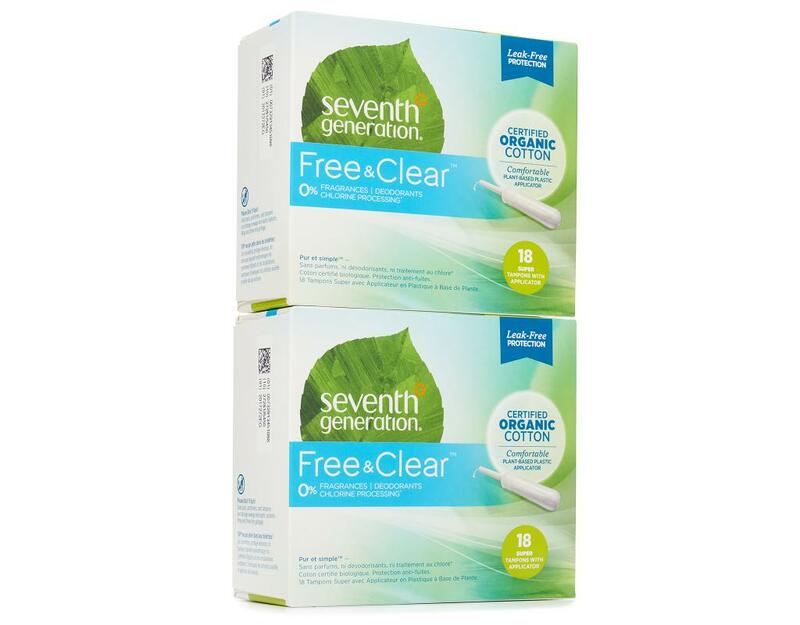 For over ten years, Seventh Generation has been making comfortable and reliable Free & Clear feminine care products and voluntarily disclosing the ingredients used to make them.